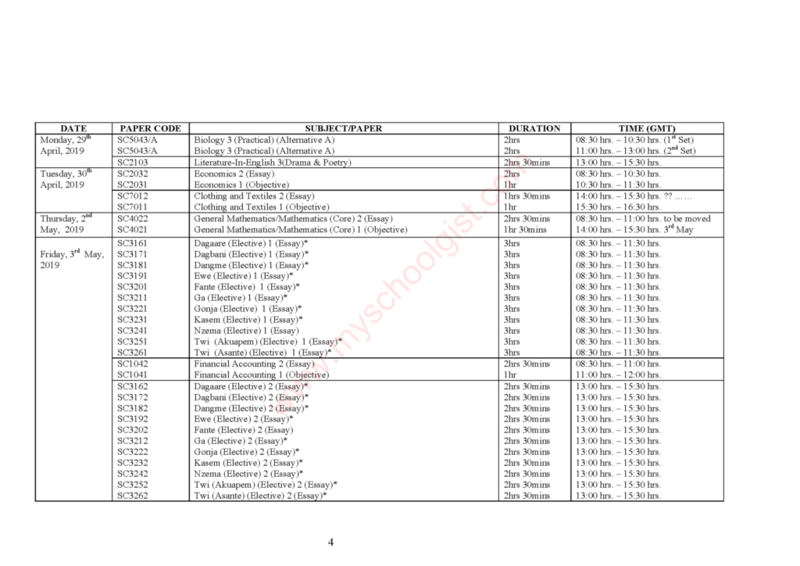 Well the 2019/2020 Senior Secondary School Certificate Examination (WASSCE) Timetable is officially out for now. But the good news is that we already know when to expect the exams to commence which is 8th April, 2019 and will end on 31st May, 2019, the 2029/2020 WAEC exams will commence around April 2019 and end around May. 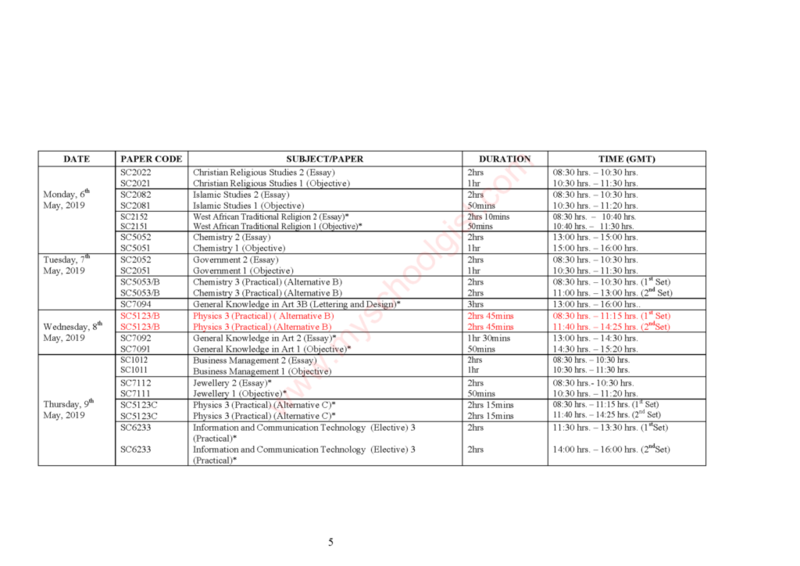 Note: A PDF file of the 2019/2020 WAEC Timetable has been create for those who Willl like to download the latest WAEC timetable in PDF file. Please scroll down to get it and download it. please stop here, please be inform that WAEC has changed the old timetable, after the 2019 General elections timetable was changed WAEC had to adjust the timetable a little.so the Timetable below is the old one please while the one above is the current one. Monday, 1st April, 2019 to Friday, 16th May, 2019. Foods and Nutrition 3 (Prac.) Planning Session – 1:00 p.m. – 2:00 p.m.
Leatherwork 1 (OBJ)* – 10:30 a.m. – 11:20 p.m.
Graphic Design 1 (OBJ)* – 3:00 p.m. – 3:50 p.m.
Building Construction 1 (OBJ) – 3:00 p.m. – 3:45 p.m. Animal Husbandry ( Alt B) 2 (Essay)** – 1:00 p.m. – 3:00 p.m. Animal Husbandry (Alt B) 1 (OBJ)** – 3:00 p.m. – 4:00 p.m. Clerical Office Duties 1 (OBJ) – 10:40 a.m. – 11:30 p.m. Fisheries (Alt A) 2 (Essay) * – 1:00 p.m. – 3:00 p.m. Fisheries (Alt A) 1 (OBJ)* – 3:00 p.m. –4:00 p.m.
Management-In-Living 3 (Test of Prac. Work) */*** 1hr 2:00 p.m. – 3:00 p.m.
Basketry 1 (OBJ)* – 10:30 a.m. – 11:20 p.m. Crop Husbandry and Horticulture 1 (OBJ)* – 10:30 a.m. – 11:30 p.m.
Electronics 1 (OBJ) – 2:00 p.m. – 3:00 p.m. Biology 1 (OBJ) – 10:10 p.m. – 11:00 a.m. Integrated Science 3 (Alt to Prac. Work)* – 1:00 p.m. – 3:00 p.m.
Management-In-Living 1 (OBJ)*/*** – 10:30 a.m. – 11:30 p.m.
Sculpture 1 (OBJ)* – 10:30 a.m. – 11:20 p.m.
Information and Communication Technology (Elec.) 2 (Essay)* – 1:00 p.m. – 3:00 p.m.
Information and Communication Technology (Elec.) 1 (OBJ)* – 3:00 p.m. – 4:00 p.m.
History 1 (OBJ) – 3:00 p.m. – 4:00 p.m.
Literature-In-English 1 (OBJ) – 9:45 a.m. – 10:45 a.m.
Foods and Nutrition 1 (OBJ) – 2:15 p.m. – 3:15 p.m.
Picture Making 1 (OBJ)* – 3:00 p.m. – 3:50 p.m.
English Language 1 (OBJ) – 10:30 a.m. – 11:30 p.m.
Further Mathematics/Mathematics (Elec.) 1 (OBJ) 1hr 30mins 1:00 p.m. – 2:30 p.m.
Physics 1 (OBJ) – 10:00 a.m. – 11:15 p.m.
Geography 3(Prac. and Physical Geography) – 1:00 p.m. – 2:50 p.m.
Forestry 1 (OBJ)* – 3:00 p.m. – 4:00 p.m.
Music 1 (OBJ) – 10:30 a.m. – 11:30 p.m.
Auto Mechanics 1 (OBJ) – 2:30 p.m. – 3:30 p.m.
Geography 1(OBJ) – 10:30 a.m. – 11:30 p.m. Animal Husbandry (Alt A) 3 (Prac. )* – 08:30 a.m. – 10:30 a.m. Animal Husbandry (Alt A) 3 (Prac. )* – 11:00 a.m. – 1:00 p.m.
Social Studies 1 (OBJ)* – 1:00 p.m. – 1.50 p.m.
Economics 1 (OBJ) – 10:30 a.m. – 11:30 p.m. Clothing and Textiles 1 (OBJ) – 3:30 p.m. – 4:30 p.m.
Dagaare (Elec.) 1 (Essay)* – 08:30 a.m. – 11:30 a.m.
Dangme (Elec.) 1 (Essay)* – 08:30 a.m. – 11:30 a.m.
Ewe (Elec.) 1 (Essay)* – 08:30 a.m. – 11:30 a.m.
Fante (Elec.) 1 (Essay)* – 08:30 a.m. – 11:30 a.m.
Ga (Elec.) 1 (Essay)* – 08:30 a.m. – 11:30 a.m.
Gonja (Elec.) 1 (Essay)* – 08:30 a.m. – 11:30 a.m.
Kasem (Elec.) 1 (Essay)* – 08:30 a.m. – 11:30 a.m.
Nzema (Elec.) 1 (Essay) – 08:30 a.m. – 11:30 a.m.
Twi (Akuapem) (Elec.) 1 (Essay)* – 08:30 a.m. – 11:30 a.m.
Twi (Asante) (Elec.) 1 (Essay)* – 08:30 a.m. – 11:30 a.m.
Financial Accounting 1 (OBJ) – 11:00 am – 12:00 p.m.
Christian Religious Studies 1 (OBJ) – 10:30 a.m. – 11:30 p.m.
Islamic Studies 1 (OBJ) – 10:30 a.m. – 11:20 p.m.
West African Traditional Religion 1 (OBJ)* – 10:40 a.m. – 11:30 a.m.
Chemistry 1 (OBJ) – 3:00 p.m. – 4:00 p.m.
Government 1 (OBJ) – 10:30 a.m. – 11:30 p.m.
General Knowledge in Art 1 (OBJ)* – 2:30 p.m. – 3:20 p.m.
Business Management 1 (OBJ) – 10:30 a.m. – 11:30 p.m.
Jewellery 1 (OBJ)* – 10:30 a.m. – 11:20 p.m.
Woodwork 1 (OBJ) – 3:20 p.m. – 4:00 p.m.
General Agriculture 1 (OBJ)* – 10:30 a.m. – 11:30 p.m. Textiles 1 (OBJ)* – 10:30 a.m. – 11:20 p.m.
Technical Drawing 1 (OBJ) – 2:45 p.m. – 3:45 p.m.
Principles of Cost Accounting 1 (OBJ) – 10:30 a.m. – 11:30 a.m. Applied Electricity 1 (OBJ) – 3:00 p.m. – 4:00 p.m.
French 1 (OBJ) – 9:45 a.m. – 10:45 a.m.
Arabic 1 (OBJ) – 3:00 p.m. – 3:50 p.m.
at the time of writing this article the 2019/2020 may/June WAEC time table is out officially , don’t worry the timetable has been released by the exam board we will paste it here and also provide you with the PDF link for you to have it at your finger tip. Most WAEC candidate have the bad habit of waiting till the exam date get close before they will start reading their books, this is very bad honestly as it will definitely put you on the hot sit of WAEC. It’s better you plan your self now by practicing with WAEC past question and syllabus as thus will position very well ahead of time. Will you like to get hot topics and also scheme of the 2019/2020 WAEC exams? we know you will certainly love to because this is the greatest WAEC expo on board now as it will give you a run down on how the exams or each paper will go. All you have to do is just to click the above subject you want, note that other subjects will be added soon so just keep checking. 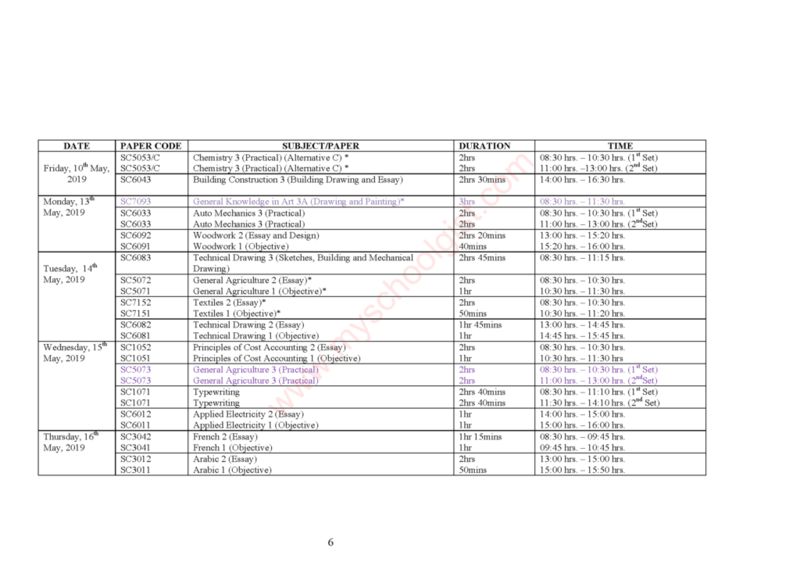 Immediately you get access to the 2019/2020 WAEC Timetable it’s advisable you go through it gently because the Timetable is vast and looks confusing a lot. Make the date your exams falls and jot it down on a piece of paper, if possible paste it on the wall. Try and create a reading schedule with the aid of the Timetable for your self. 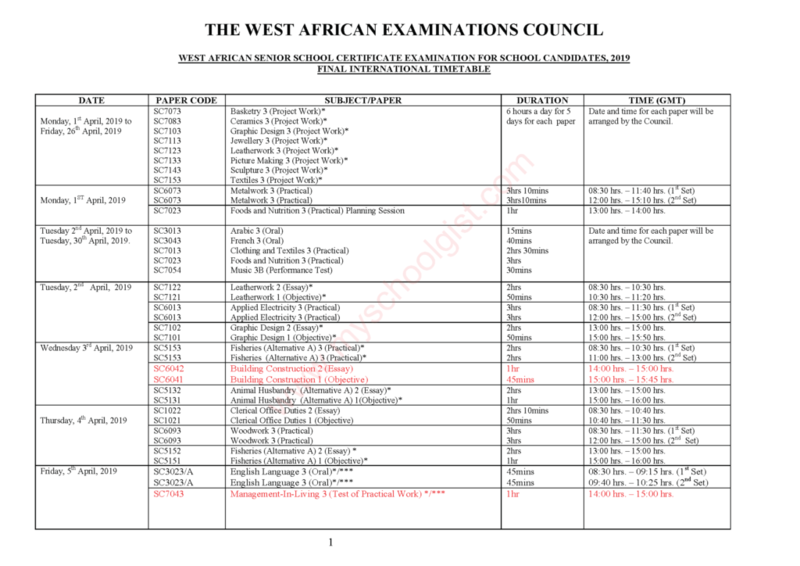 Please note that the west African examination council reserve the right to withdraw or modify the MAY/JUNE 2019/2020 WAEC Timetable if there is major or minor clash with any event such as religious activities or public holidays the exam board will have to step in to edict the timetable to accommodate all religious faithful so as to allow them observe their religious rites. 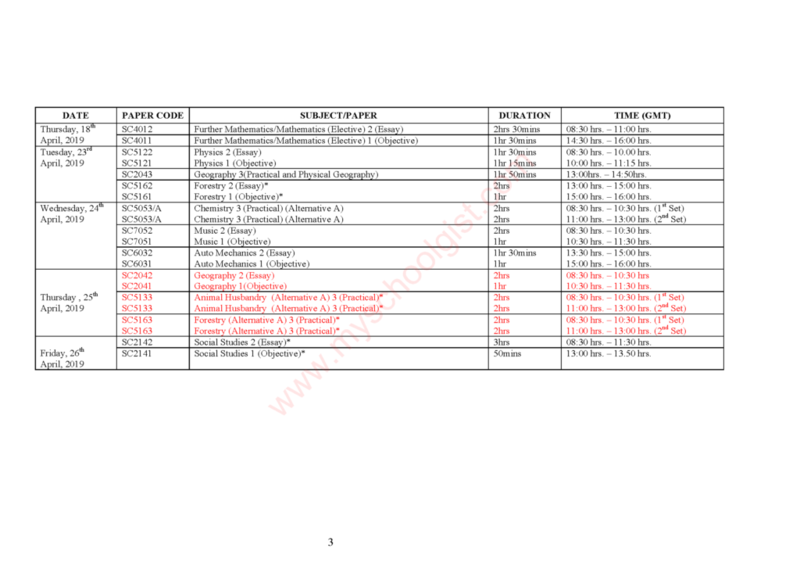 Difference in Time on Question Paper and Timetable: please note that at time there might be some differences in time both on the timetable and on the question paper. In the event that this occur then that on the timetable should be adhere to. Paper 3B –the school will then call all candidates together instruct them on what to do before handling it to them. Please note that you will receive these set of questions papers two weeks before the exams date. 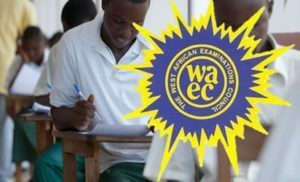 When is 2019/2020 WAEC exams starting? This is the question in the mind of thousands of candidates right now. are you looking for the right place to download the 2019 WAEC timetable? If yes then you have really come to the right page. Although at this point the timetable for 2019/2020 is not out yet. Looking at the WAEC timetable you will agree with me that its not easy to comprehend, because of the fact that it contains a lot of subjects that has nothing to do with you. Normally you registered for just 9 subjects and practicals that comes with science subject however looking carefully at the WAEC Timetable you get confuse the more. Let show you the next line of action to take. Get a sheet of paper and write down the subject you registered for. Use this subject to form a timetable. Paste your timetable on the wall or any place of your choice for easy access. Create a reading /study time from the timetable. Finally double your reading habit. It’s your duty to check back here always or simply log on to WAEC portal to cross check what you have. There might be a change or adjustment on the time table, It happens all the time, it’s no new thing. There are at times when religious activities or public holidays or any other event might force the exam body to shift the exam. Try your best to answer your questions each and every question very well.Avoid anything that will make the exam body withheld your result, don’t engage in any activity that will bring your results to jeopardy. please I did not see marketing and civic why??? pls can’t see civic and marketing why???????? why is civic, marketing and igbo left out? no way are you blind can’t you see that all subject are being combine. 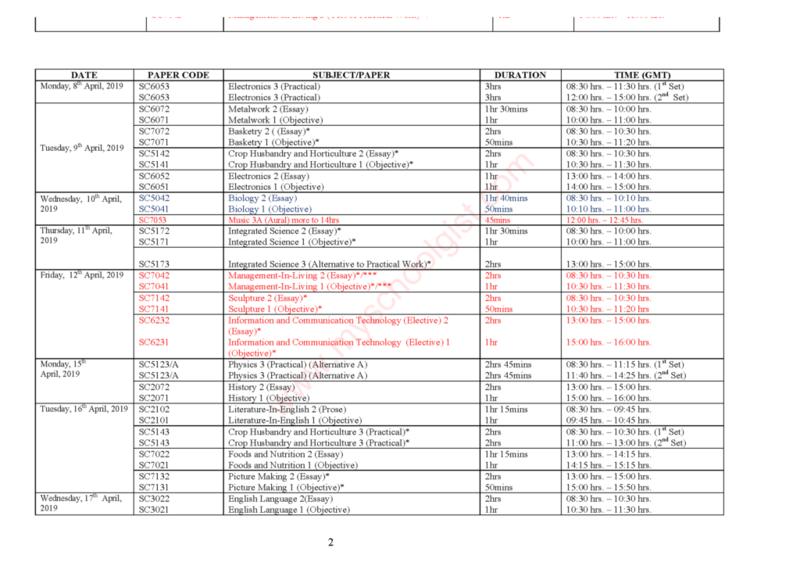 Actually, I Am Confuse About This Waec Timetable. Can’t find marketting in the timetable. Can’t find Marketing in the timetable.